So I'm sure the concept of DIY smartpaks isn't uncommon -- I'm certainly not claiming to reinvent the wheel here, haha. 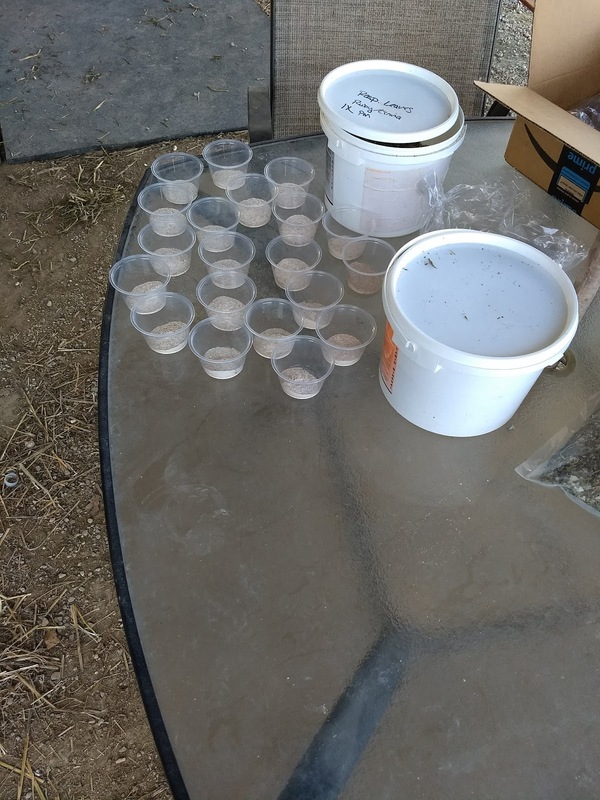 But my horses, like many, receive some extra supplements on top of their usual grain/ration balancer. 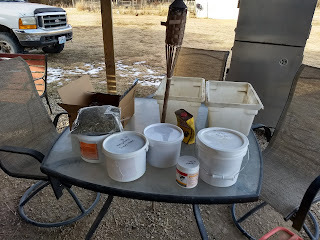 We have gotten to the point recently where it's gotten annoying to scoop individual powders/etc at mealtime, so I started exploring DIY supplement pack options. 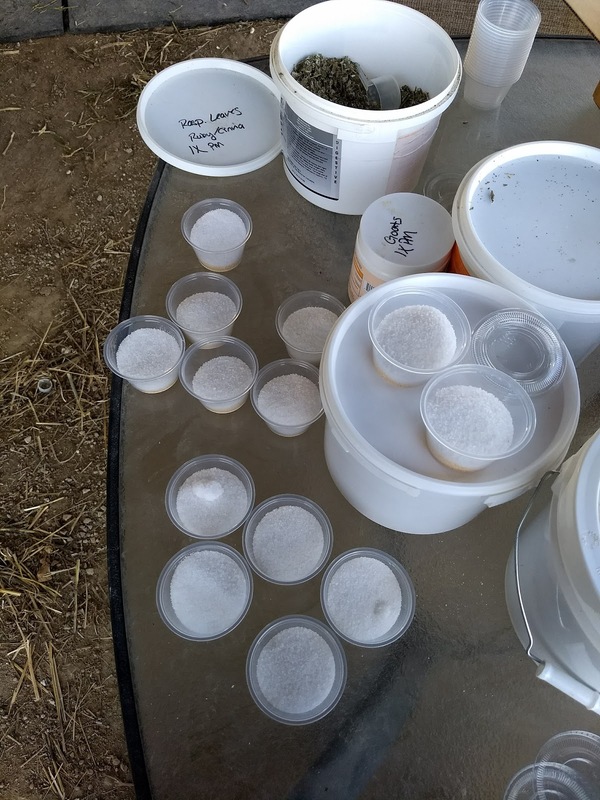 In the past, when I boarded my horses, I either bought (or the barn provided) some little tupperwares to mix up a week or so at a time. That system works just fine, but when I started exploring options to get enough for all the horses at home (well minus Trigger, he doesn't get any supplements, lol), it started to look like it might get annoyingly cost prohibitive to get tupperware for everyone -- don't get me wrong, while I can afford to drop $40+ on little tupperwares, why would I, if I could find something less expensive? 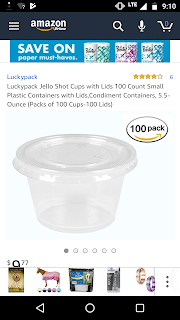 (#cheapskate) So I poked around a bit on Amazon until I found these: while this particular model is marketed as souffle cups, you can also find them listed as jello shot cups with lids, hahaha. 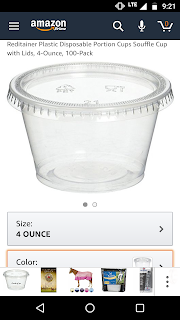 I clicked around to a few different options, but finally chose the ones linked above because I could get 100 4-ounce cups for less than $12 delivered to my house in less than 48 hours. They arrived last night, so I quickly whipped up 3+ weeks for each horse in less than half an hour. 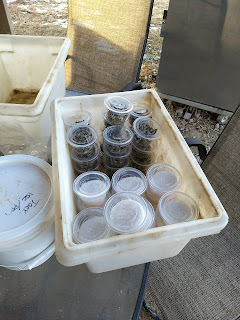 I sorted them into individual bins, and also set up a discard pail to put the empties in for re-use -- they're not terribly flimsy, so I do hope as long as I don't hulk-smash any of them, I should be able to reuse them for quite a while. 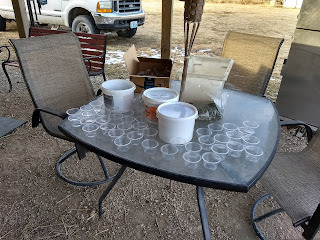 I did notice putting them together that some of the lids stuck together, so at the end I appeared to have more cups than lids. 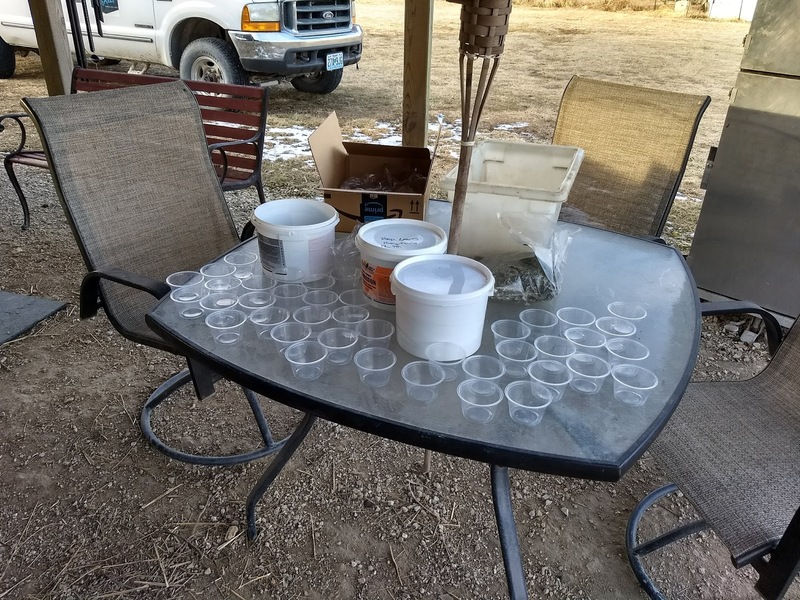 I'm sure the extra lids will show up as I work my way through the cups, lol. 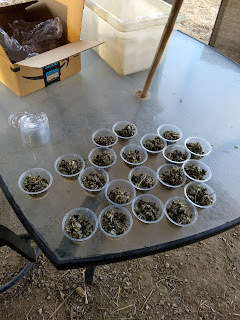 These 4-ounce cups hold a decent amount -- Ruby's PM feed includes three supplements, two powdered and raspberry leaves, and the cup still wasn't completely full. Obviously if your horse gets a high volume of supplements, this might not work well for you (although I think there is a 6-ounce option too?). Overall, I'm pretty pleased with this for about a $3/per horse investment (well, $6 for Ruby because she's getting both AM/PM supplements, lol). Hopefully I'll be reusing these DIY smartpaks for a long time! ooooh those look great! i had little tupperwares for izzy, tho barn staff was kinda rough with them and a lot of the lids cracked or peeled. these look like they would be maybe even a better option bc even if they get damaged, they're cheap enough to replace regularly. alas, charlie eats like... a full cup of supplements a day haha (fml, and it's only 2 products...) so we go with zip lock bags. my barn staff prefers the type with the actual zipper slider thingy in winter so they're easy open while wearing gloves. Yeah I lost quite a few Tupperwarelids between rough handling or them just magically disappearing? But these are cheap enough that I won't mind as much lol. This definitely is probably less of an option for those high volume supplements, so not for everyone. But Ziploc bags seem like an equally inexpensive/reusable option! Yeah for sure! Actually at one boarding barn I premixed entire grain rations and it made it very easy to see days they had "skipped" 🙄 which was super annoying, lol. What a great idea. Especially if you board out. That is such a smart idea!! Thankfully, only Annie gets supplements and doesn't get a bunch of different things, so I don't mind scooping them out. I'd be interested to know what supplements you are feeding tho!! We just now crossed the threshold into "number of supplements I get annoyed scooping out per meal" haha. Ooh yes, do a supplement post! I love seeing what everyone else feeds. I'm leery of doing that only because what works for me may not work for other people -- not only do different breeds and individual horses have unique needs, but due to type of hay I feed/mineral content of my pastures/etc, I just can't see how it would be terribly useful to someone else what I feed my horses... Haha. Idk. I think that with anything horse related, your results may vary, and it's up to the individual to do research and stuff, but it's always interesting to see what people feed and why. 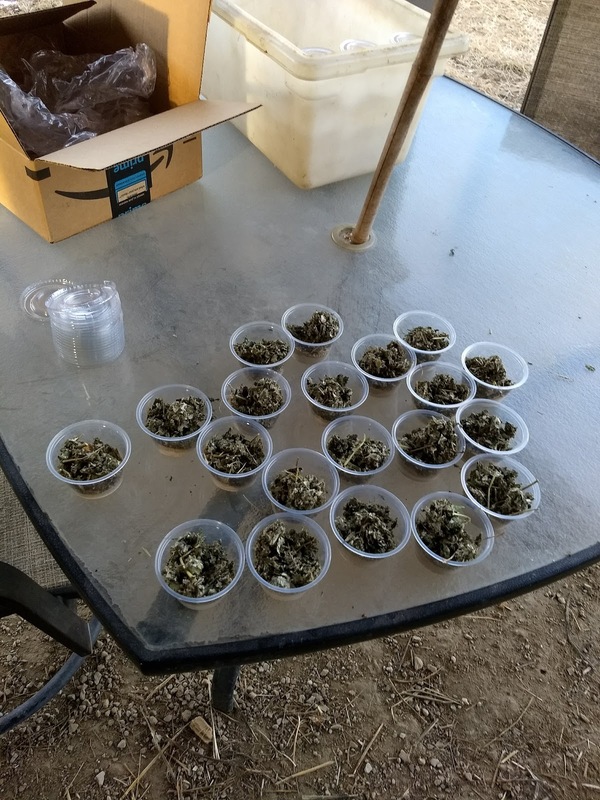 You never know - someone may have their horse on a high $$ supplement and you may end up being able to help someone find something cheaper or more effective? Always helpful to see whats out there! It is probably sad how much more inclined to meal prep for ponies than meal prep for myself 😂😂and that's awesome! I never had to worry about stuff getting fed at my most recent barn, but some of the other ones in the past were significantly less trustworthy. Time will tell! :) And if they don't, it was a cheap experiment, haha. 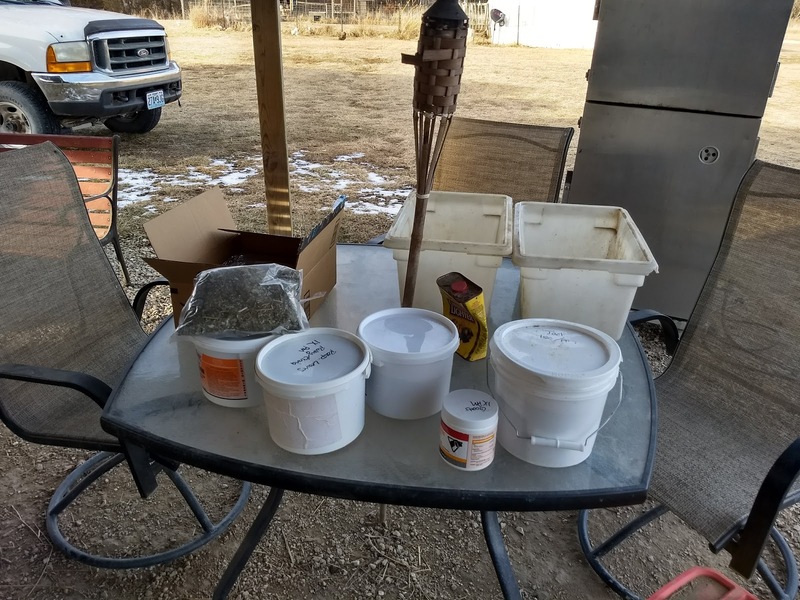 I've been using ziploc baggies for a long time to do this kind of thing, but my horse's supplements have gone down pretty significantly in the last few months, so I've been looking for a smaller option. I really like the idea of these cups!! For small volume supplements they're pretty easy to use! 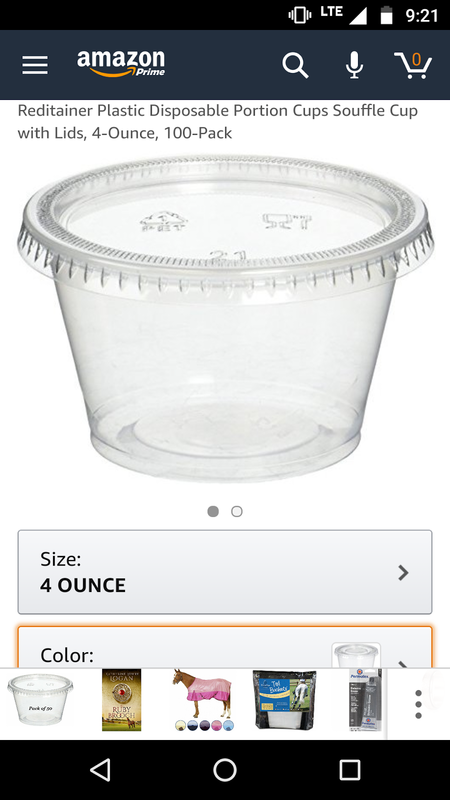 And super cheap ☺️ you can get 50 of them for less than $7 I think - maybe cheaper if you go to the 2 ounce cups instead of the 4 ounce. 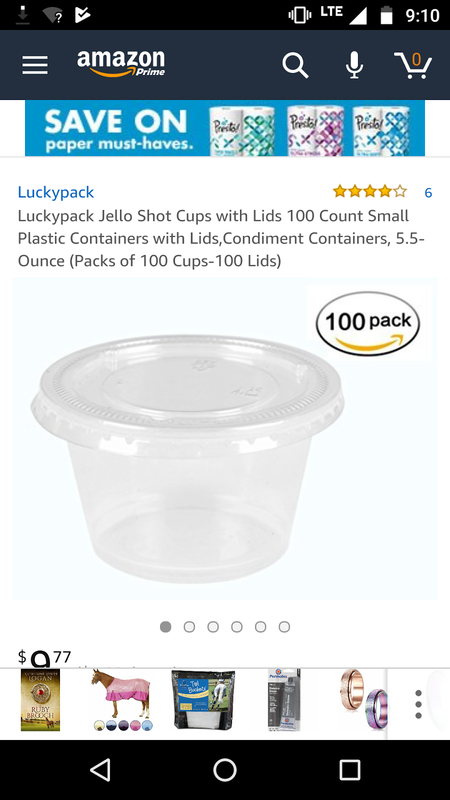 Jello shot containers - you clever girl you! Penn gets 5+ oz of supplement so these wouldn't work for me (I do zip locks), but they are good to know about just in case he can use them at some point! They come in 6 ounce ones too! 😉 But yeah, they won't work for everyone, but I just thought they might be a cheap alternative for some folks!